We had some amazing rainy weather on Saturday so Tanner and I decided to take advantage of it and lock ourselves inside for a lazy pajama-clad movie marathon. Sometimes you just need to put your to-do list away and enjoy a little down time; luckily the weather gave us the perfect excuse! To do it right, we naturally needed a sweet treat to snack on as The Shining (don’t ask me why) played on. Given the cozy weather we were blessed with, a Fall favorite was in order – Snickerdoodle Cookies. 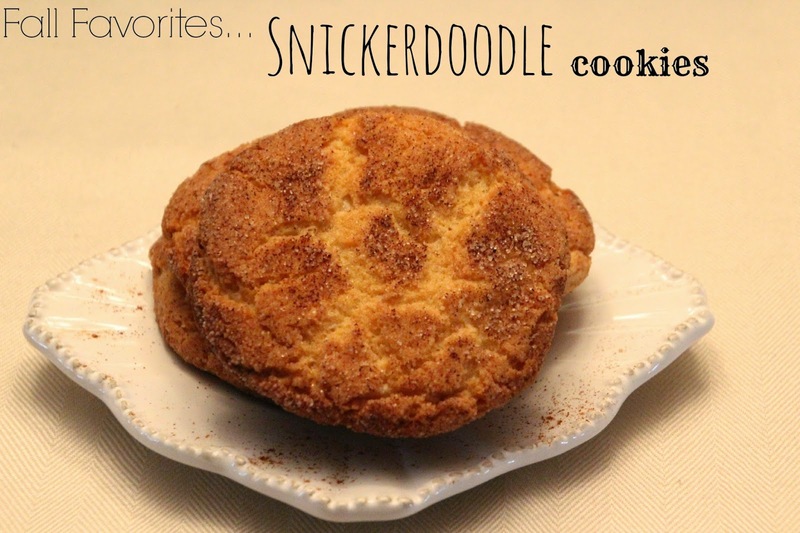 Snickerdoodles are one of my husband’s favorites and quite possibly the easiest cookies to make. They also gave me the perfect chance to try Zulka, a Non-GMO Project Verified and unrefined pure cane sugar, I had picked up. If you've been around this blog any amount of time, you know I love to cook and I’m always on the hunt for products that make it easier to keep our meals healthy and clean. When I came across Zulka "Morena" style sugar, I thought it would be perfect to try out in the laundry list of Fall recipes I had bookmarked and so far it's been a great replacement for Sugar. It's also conveniently available at Walmart; no need to make a special trip to a health store! I'll continue to share more as we try new recipes with it. Preheat oven to 400 degrees. Line a cookie sheet with parchment paper and lightly spray with non-stick spray. In a large bowl, combine the butter, 1 ½ cups of sugar, eggs, and vanilla extract. Use an electric mixer on medium speed to combine until creamy; this took me about 1 ½ minutes. Stir together flour, cream of tartar, baking soda and salt until completely mixed. Then stir slowly until the butter mixture until it is all incorporated and dough is formed. In a smaller bowl, mix together remaining sugar and cinnamon. Form dough into small balls (2.5-3 tbl. per ball) and then roll in cinnamon sugar mixture before placing on the cookie sheet. Bake for 10-12 minutes then transfer to wire rack to cool. Thank you for stopping by and be sure to check out Zulka Sugar for a cleaner and healthier alternative when cooking! Linking up with Lauren, Lauren, Amanda, and Jennie. Yummy! I love when people show pics of cookies They look amazing!